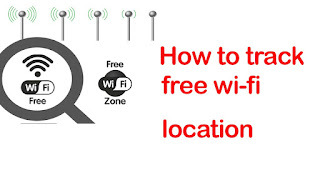 ONE LINE :-How to find wi-fi area or how to track wi-fi Internet location. Welcome Friends. I'm very happy that you come my site for read articles, god u always happy. Facebook is famous social network company of America, and facebook famous in the world.today every child, girl, woman, prime minister,president,police man, student, lok sabha speaker, private company employees, government employees and old man use facebook. Friends, you know that if you use facebook aap in the phone,now you can search wi-fi location through faceboook aap. My Dear Friends, please read this guidelines carefully. 3):- On your phone wi-fi button. 4):- Click on right side setting button. 5):- Open facebook setting page. 6):- Click on see more. 8):- Show wi-fi location. and after the some time your phone connect wi-fi connection. Friends, if you like this post than please don't forget share friends and family members and if you like this post than please comments.